“Treasures from Tsarskoye Selo, Residence of the Russian Monarchs” Exhibition starts today. Let’s go visit the stunning exhibits now! 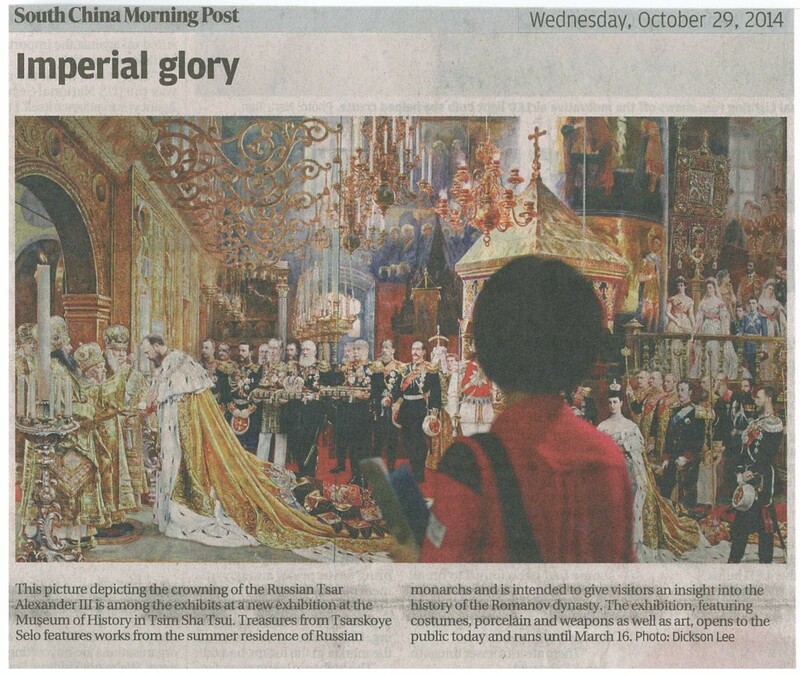 Different articles about this exhibition are published today, including Hong Kong Economic Journal, Sing Tao Daily, South China Morning Post, The Sun, etc.